Introducing Memjet—The Most Efficient and Affordable Printer Ever | TonerGreen - Eco-Friendly Toners from the U.S.
Just you thought you already have the best printer ever made, here comes Memjet that would match perfectly compete with your current printing partner. What can be more efficient and affordable than this printer that has a different way of printing your daily outputs? Well, for now you should give praises to this great printer. Why? Here are just some of the economical features that Memjet can provide. 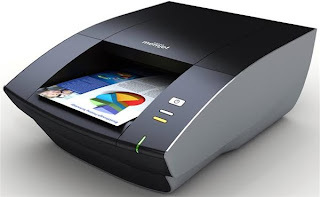 The Memjet printer differs from other inkjet printers because it has a print head that is the same size as your printing page which makes it burst all the needed inks on your paper at the same time, finishing your output in a jiffy. On the contrary, if you are using an inkjet printer, the process is much slower since the ink cartridges will have to move back and forth just to finish your material. If you want to compare the Memjet with a laser printer, have a look at its printing speed and price too. The two printer types can match each other on the speed level but amount for you to get a Memjet printer is much cheaper than a laser printing machine. Also, its inks will be affordable, so you really do save more with this fascinating printer. However, if you feel that it's not yet the right time for you to replace your printing partner, then there is still a way for you to get those economical and inexpensive prints. Just fill your printer with remanufactured laser toner cartridges or ink cartridges, and you'll surely you will get the savings that you want. After all, these printer supplies were made to provide high quality printing at a lower cost for all wise and green printer users.